The Russian military approved the first state procurement contract for a dozen fifth-generation stealth fighter aircraft, said Deputy Defense Minister of Russia Alexei Krivoruchko on Saturday. Krivoruchko told reporters that a batch of the Sukhoi Su-57, a stealth, single-seat, twin-engine multirole fifth-generation stealth fighter will be delivered to the Russian military in the near term. Speaking highly of the work by the Sukhoi aircraft manufacturer on the production of the fifth-generation fighter jet, Krivoruchko added that engineers are concluding the last round of tests on the aircraft’s second-stage engines. Many readers of this list are probably already familiar with Edgart. 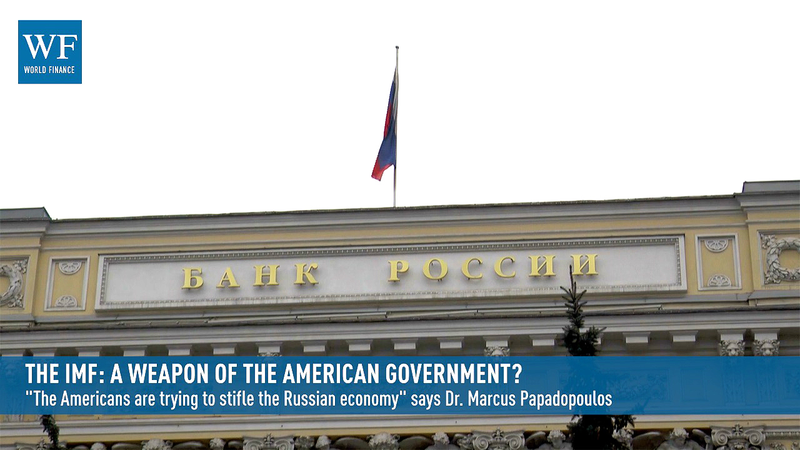 If not, read about it here: http://fouchemedia.com/arap/speech.htm. Mr. Fouche describes the TR-3B’s propulsion system as follows: “A circular, plasma filled accelerator ring called the Magnetic Field Disrupter, surrounds the rotatable crew compartment and is far ahead of any imaginable technology… The plasma, mercury based, is pressurized at 250,000 atmospheres at a temperature of 150 degrees Kelvin, and accelerated to 50,000 rpm to create a super-conductive plasma with the resulting gravity disruption. The current MFD in the TR-3B causes the effect of making the vehicle extremely light, and able to outperform and outmaneuver any craft yet …My sources say the performance is limited only the stresses that the human pilots can endure. Which is a lot, really, considering along with the 89% reduction in mass, the G forces are also reduced by 89%. The crew of the TR-3B should be able to comfortable take up to 40Gs… Reduced by 89%, the occupants would feel about 4.2 Gs. I was skeptical of Mr. Fouche’s claims when I first read them, as I’ m sure that many of you are, but I was interested enough to do further research on what happens when you spin a plasma at high speeds in a ring (toroidal) configuration. I came across a physics article (sorry, I can’t seem to locate the source right now) that described this exact configuration. Interestingly, even though this is public discourse, Talking about the TR-3B and its mercury plasma vortex drive has resulted in the US Space Force threatening this author on twitter and on phone (by the NASA Chief of Security himself). Comical, given that these space vehicles aren’t supposed to exist and my sources of information is simply the internet and internet search. Are we alone? Unfortunately, neither of the answers feel satisfactory. To be alone in this vast universe is a lonely prospect. On the other hand, if we are not alone and there is someone or something more powerful out there, that too is terrifying. As a NASA research scientist and now a professor of physics, I attended the 2002 NASA Contact Conference, which focused on serious speculation about extraterrestrials. The silence was palpable as the truth of this statement sunk in. Neom is a new sovereign “smart” city-state created out of Saudi Arabia. It is a smart city that many nations are investing within. This recording is the NASA Chief of Security answering questions about registration of anti-gravitic space crafts. After requesting the OMB form for application for registration of space vehicles (such as anti-gravitic crafts) from NASA Customer Relations (phone #202-358-0001) and The Office of General Counsel, NASA Chief of Security finally called back. NASA does actual have specific requirements for registering anti-gravitic space craft. The call was received because NASA refused to answer simple customer service questions about space vehicle registration for about 30 days. This made it appear that NASA was not following through on their statutory obligations. Editor’s note: We must act on truths. We can ignore things, but not their consequences. The Failure of the United States is past tense… not some future. It’s here and now. via Global Research – Author’s note: This article contains over 100 hyperlinks. It is suggested that you read the text of the article first then go back and explore the linked sources at your leisure. U.S. industry is poisoning the natural environment as the bee population is killed off by glyphosate and fungicides (ed: and Geoengineering chemicals and frequencies) and the food supply is degraded with GMOs and GE foods. A Third Wave Secret Space Program (SSP) whistleblowers blow the lid off Jump Room technology. 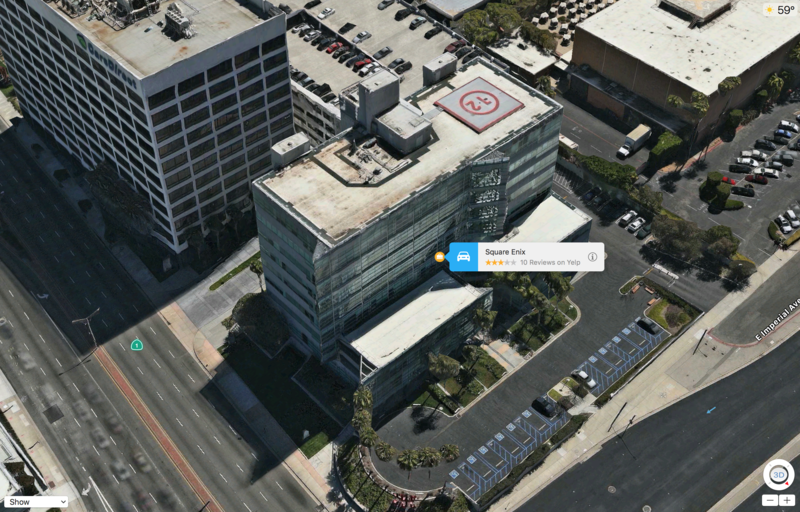 The official name for Jump Rooms are A.R.C.s “Aeronautical Repositioning Chambers.” One of the Jump Rooms was and possibly still is located at 999 North Sepulveda Boulevard, El Segundo, CA. The numerology of 999 upside down is 666 ; which is in alignment with the dark cabal’s M.O. NASA has had bases on Mars since 1964 according to whistleblowers and had up to 1,500 personal on the red planet. ARCs are used to travel to Mars and back nearly instantaneously. They apparently operate by quantum entanglement. Several whistleblowers have discussed ARC Jump Rooms and Mars Bases. 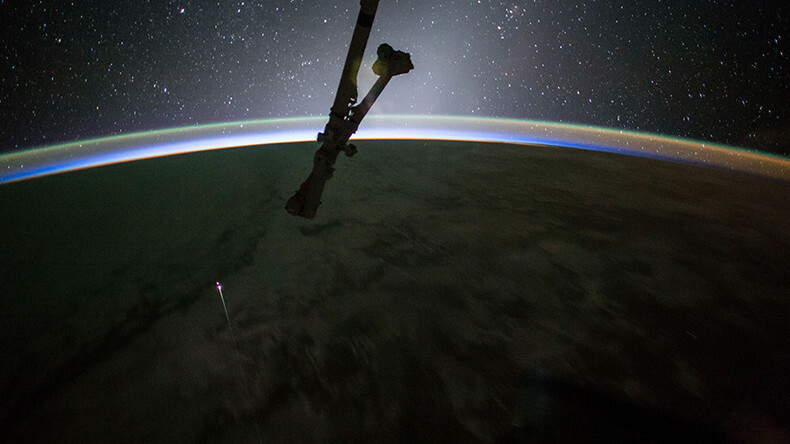 The latest whistleblowers are NASA astronauts. The CIA is highly involved with Mars and ARC Jump Rooms. Age regression is a common technology in the SSP. The CIA Headquarters has the other ARC Jump Room. There are now probably more than these two rooms on Earth. Astronaut Ken Johnson Sr. testifies that he has used the ARC Jump Room Technology. The Robertson Panel Dictate appears to be the panel and orders that recommends character assassination for people discussing Extra-Terrestrials and other off-planet CIA projects. The Robertson Panel was directed by the CIA. The “Solar Warden” SSP was formerly called “Project Mayflower” and have neutral buoyancy space ships with “anti-gravity” drives. Barack Obama (aka Barry Sotoro) may have actually been an ARC Jump Room Astronaut half a century ago. via The Telegraph – Earth may well have been visited by UFOs from outer space, the former head of a secret US government programme has told The Telegraph. 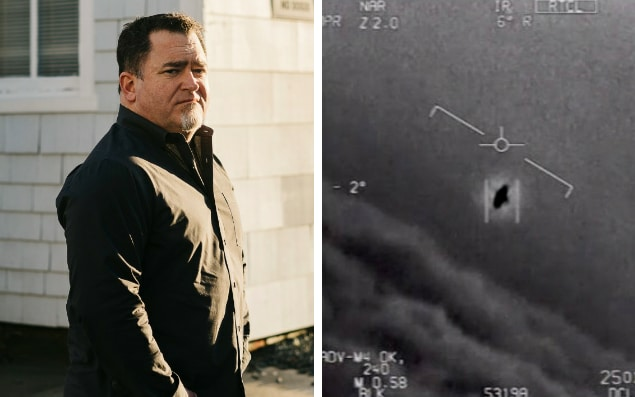 Luis Elizondo said the existence of supremely advanced unidentified aircraft, using technology that did not belong to any nation, had been “proved beyond reasonable doubt”. via San Diego Union Tribune – A Navy pilot says he encountered a mysterious aircraft off the coast of San Diego in 2004 and video from the Department of Defense has kicked talk of UFOs and the possibility of alien life into overdrive. The New York Times shared an interview with now retired Cmdr. 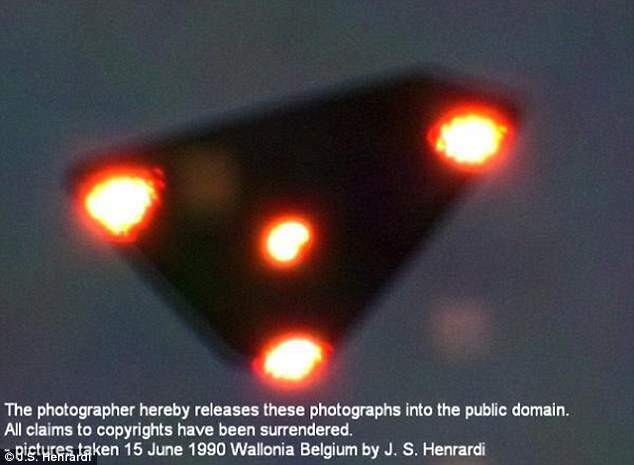 David Fravor on Saturday amid newsthat, for the first time, a spokesperson confirmed that a program to research UFOs existed at the Pentagon. Fravor’s encounter was one the Advanced Aviation Threat Identification Program was investigating, according to reports by The New York Times and The Washington Post. This is what Fravor says happened. He and another pilot were with the USS Nimitz training in F/A-18F Super Hornets about 100 miles out in the Pacific Ocean when someone on the Navy cruiser USS Princeton contacted them by radio about mysterious aircraft. This unexplained astronomical observation in undeniable… but what is it?Phenomenon around the moon appears more than just a funny camera recording. via RT – Plans for a US military “Space Corps” have been scrapped, after the proposal was left out of the final version of the $700 billion National Defense Authorization Act. Congress planned to create a new military branch dedicated to space, like the Marine Corps, but the Air Force had fought against the proposed space corps as it would have taken over the military’s space operations. Instead, the NDAA gives Air Force Space Command’s sole authority to organize, train and equip all space forces.